Purchasing your first home can be both exciting and daunting. Find out how we can streamline the process to ensure you get the right property when entering the market. As your lifestyle changes and family grows, you need a home to change with you. Find out how we can help you get the space and inclusions you need when upgrading. Moving to a new area can be overwhelming, particularly when you don’t know it well. Find out how we help you get the right property in the right area to make your move easier. Relocating to a new city? As an investor, you have different needs to an owner-occupier. Find out how we can help you source a property that fits your investment strategy and generates a high return. Investor looking for your next property? The property market can change significantly in the years you live overseas. Find out how we can help you buy the right house even when you’re not in the country to view it. Expat returning home to Australia? In the market to buy a prestige home, penthouse, luxury villa or mansion? Find out how we uncover the silent listings to find you the prestige home you’re looking for. Looking for a prestige home? There can be times when you need to remain anonymous to buy the property you want. Find out how we can protect your identity through the property purchase. Commercial property can bring a higher return, but it can also carry more risk. Find out how we can protect your interests through the purchase of commercial property. Want to buy a commercial property? Need help managing your investment or selling your property? For 15 years we have been providing one of the most respected services as real estate buyers agents in Brisbane and want to continue sharing our knowledge and expertise with ambitious property buyers. Above all, unlike real estate agents we put the buyer first and find properties that adhere to your requirements and desires perfectly. 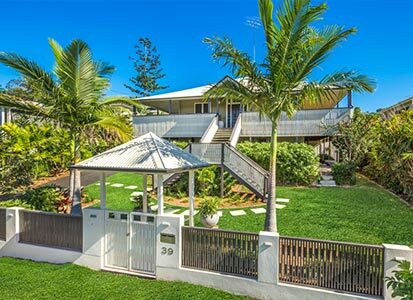 Furthermore, as exclusive buyers agents in Brisbane, our sole focus is on the satisfaction of our clients as we have no ties to any sellers or external realtors. Our unbiased approach to property sales will ensure that you can purchase the finest and most suitable establishment for your needs. At Property Pursuit we take an open approach to the services we offer as we know that not every client is the same. Most noteworthy, our processes and services can be altered to suit your individual requirements, so that you can always get the most out of the buying process. From planning to negotiation and buying to post-purchase management we can help you handle a variety of property activities that are vital to ensuring your investment is well placed. Privileged Buyer Service. This package includes everything you could desire from a real estate purchasing standpoint. We discuss planning and requirements for your property, handle negotiations and evaluations, and provide you with a range of post-purchase management options to help you make the most out of your investment. Property Purchase Partnership. If you have already found a property that you’re interested in but need buyers agents in Brisbane to evaluate the building and handle negotiations, then our Property Purchase Partnership is perfect for you. Auction Representation. Auctions can be stress-inducing environments and there is a lot more involved in securing a property at auction than just arriving and bidding as high as possible. We can implement our knowledge of the auction arena to ensure that you get the best price for your property possible. When you choose us to secure your real estate in the Brisbane area you can take advantage of a whole range of benefits that aren’t available if you choose to deal directly with real estate agents or other buyer’s agents. Protect Your Interests. As we’re purely concerned with your satisfaction we will always be searching for properties and services that suit your needs. We won’t push you into purchasing a property that isn’t right for your circumstances or choose a product/service that is of no value to you. Keep Your Budgets and Motives Confidential. Our primary objective is to ensure that you can purchase a property that suits your needs for the lowest possible price. Therefore, we will not disclose your motives or budget with the seller, so that you always have room for manoeuvre with negotiations. Negotiate Exclusively for You. Our buyers agents in Brisbane are completely independent and we have no ties to any sellers or external realtors. This ensures that our objectives run parallel to yours, therefore meaning we can be persistent when negotiating on your behalf. The key to making the most out of your investment in the real estate market is being able to effectively manage your properties. Whether you’re leasing or moving into the property yourself being able to manage your establishment efficiently can save you money and increase your properties market value. Finally, we can provide all these services and more when you hire Property Pursuit buyers agents in Brisbane. Our services allow you to live your life while still being able to maintain a close eye on the running of your property on a regular basis. What Makes Us the Best Buyer’s Agents in Brisbane? 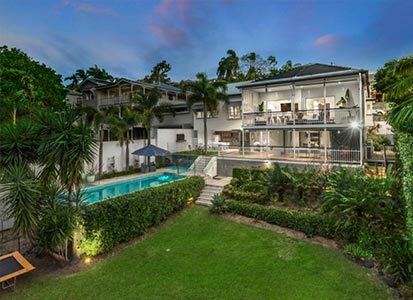 You can rest assured that whenever you hire Property Pursuit property buyers agents in Brisbane you’ll be receiving all these perks and more. At Property Pursuit we settle for nothing less than 100% customer satisfaction. No matter what property type you’re searching for we can help you find the most suitable property for you. If you would like to hire our services or require more information then you can contact us via the phone, e-mail or online enquiry. 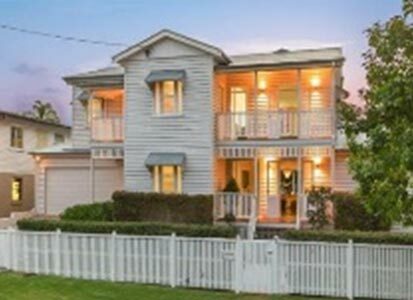 If you are looking for property buyers agent to buy or sell real estate in Alderly, Ascot, Ashgrove, Auchenflower, Balmoral, Camp hill, Clayfield, Dutton park, Grange, Greenslopes & other surrounding areas in Brisbane, Property Pursuit Brisbane buyers agents are able to find the best property for you at the right price. Contact us online or Call 1300 726 604. B uying a new property is more than a simple transaction. It’s a new home, a new investment, and a step towards a new future. 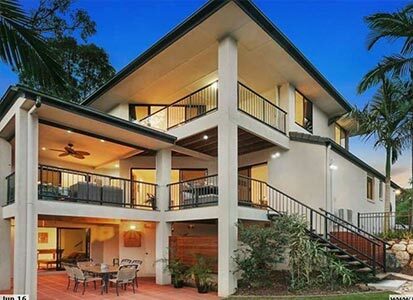 Here at Property Pursuit, the most respected buyers agents in Brisbane, we use our in-depth knowledge of the Brisbane property market to find you the ideal property at the lowest price with minimal disruption to your busy lifestyle. But we don’t stop there, we support you through the entire property lifecycle so you can have the peace of mind knowing that you have an experienced property specialist in your corner regardless of whether you are buying, selling or managing your property. Contact us today on 1300 726 604 to find out how we can help make the process of buying a property easier.